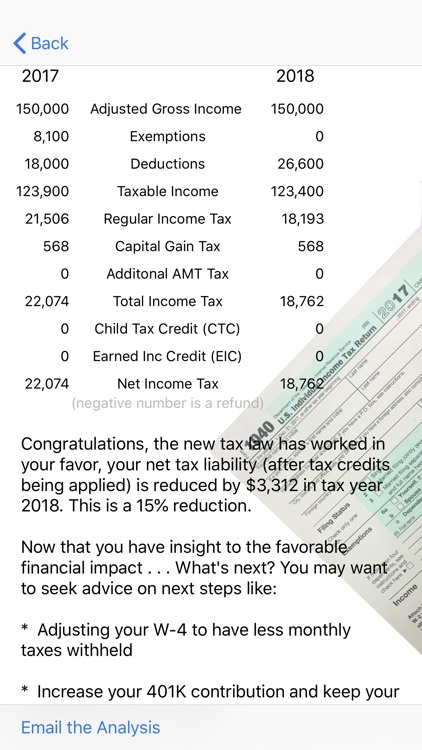 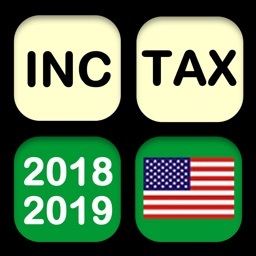 Want to know how much your federal taxes are changing in 2018 based on your 2017 income, this is the App for you. 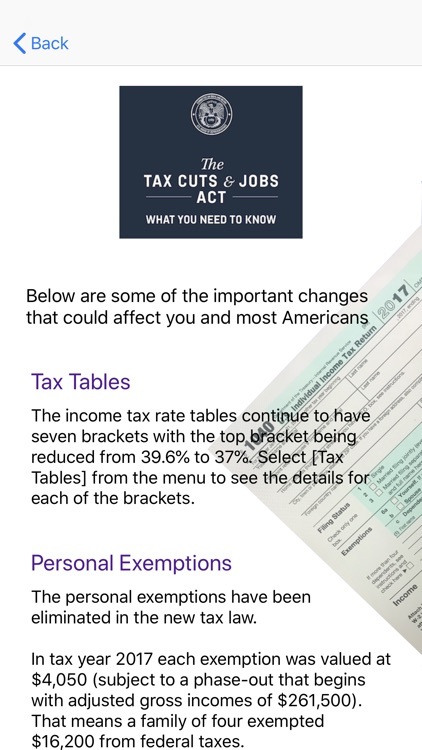 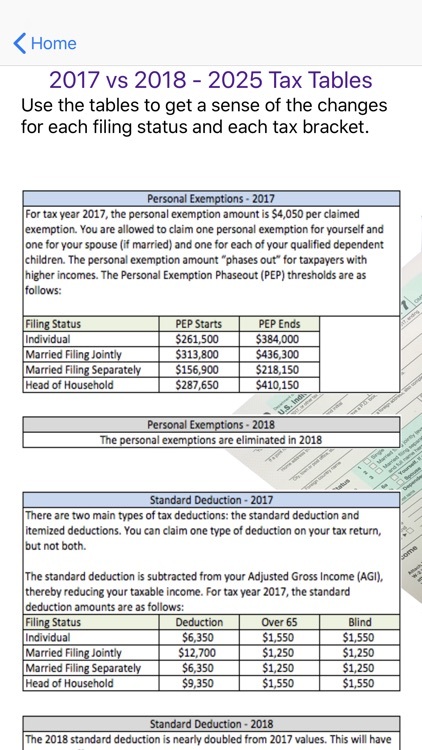 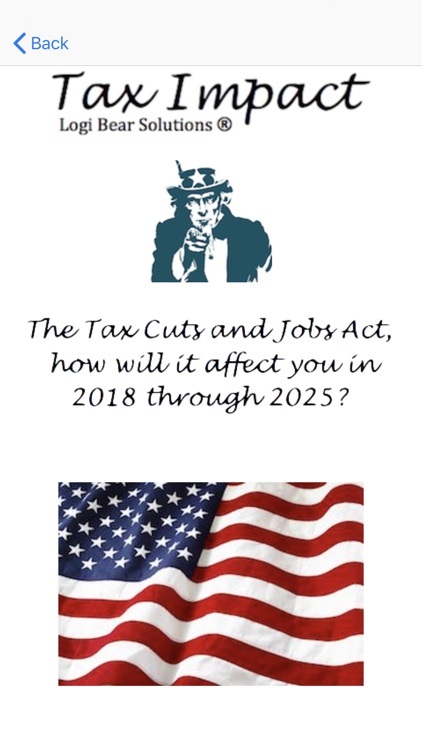 Tax Impact can be used by Individuals and Tax Professionals alike to generate an estimate of impact to 2018 - 2025 Federal Income Tax due to the tax law (Tax Cuts and Jobs Act) enacted December 2017. 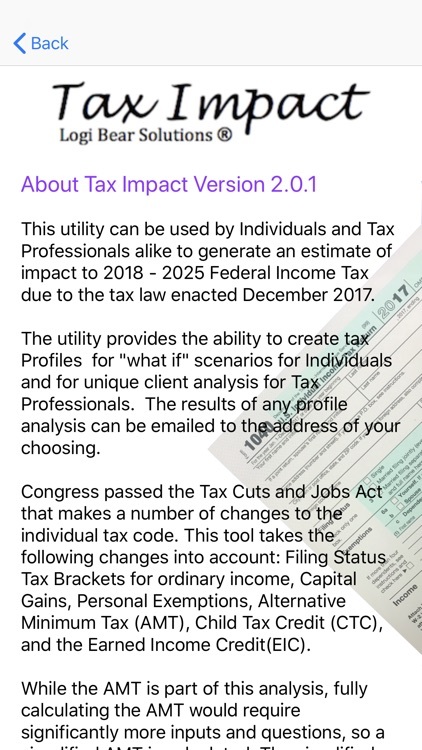 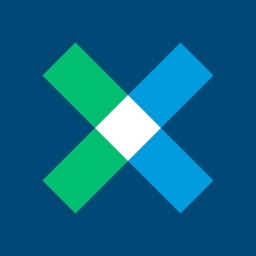 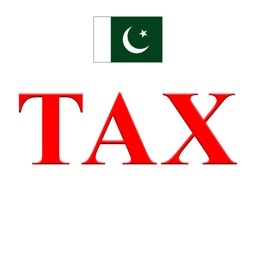 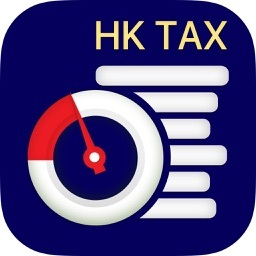 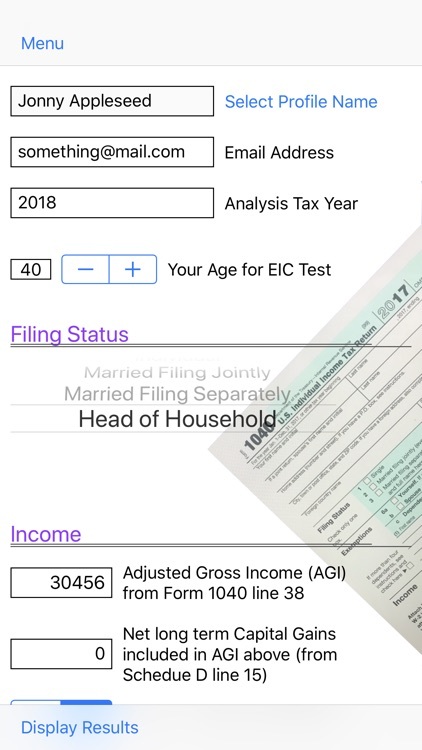 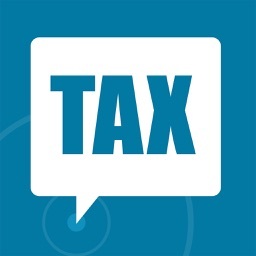 The App provides the ability to create tax Profiles for "what if" scenarios for Individuals and for unique client analysis for Tax Professionals. 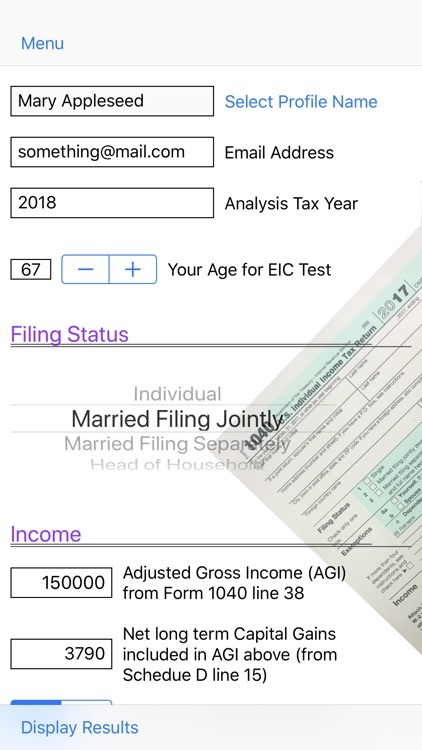 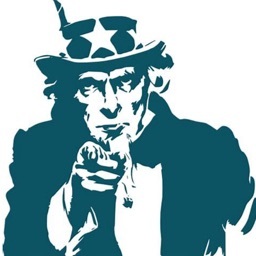 The results of any profile analysis can be emailed to the address of your choosing. 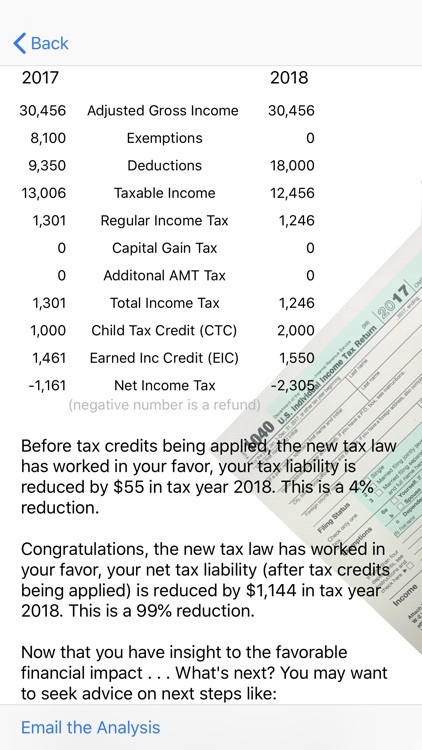 * Earned Income Credit (EIC).